NetJets (Booth 209) has confirmed the schedule for its Bombardier Global 7500 deliveries, set to begin in 2021. The fractional-ownership pioneer also converted options on five Challenger 350s and one Global 6000 to firm orders, with deliveries to start next year. The value of the conversions, based on 2018 prices, is $195 million. NetJets currently operates 120 Bombardier aircraft. Bombardier (Booth 1200, Static SD45) announced the Global 7500 delivery schedule information and the order conversions on Tuesday morning at NBAA-BACE 2018. NetJets placed a major order for Bombardier business jets in 2011 that included firm commitments for 50 Globals, with options for 70 more. Recently certified by Transport Canada and with FAA certification expected soon, the Global 7500 has a range of 7,700 nm and a four-zone cabin, including a full kitchen. The 2011 firm order included 20 Global 7500/8000s, with the rest consisting of Global 5000s and 6000s. In 2012, NetJets placed a further order for 100 Challenger 350s and 650s, with options for 175 more. 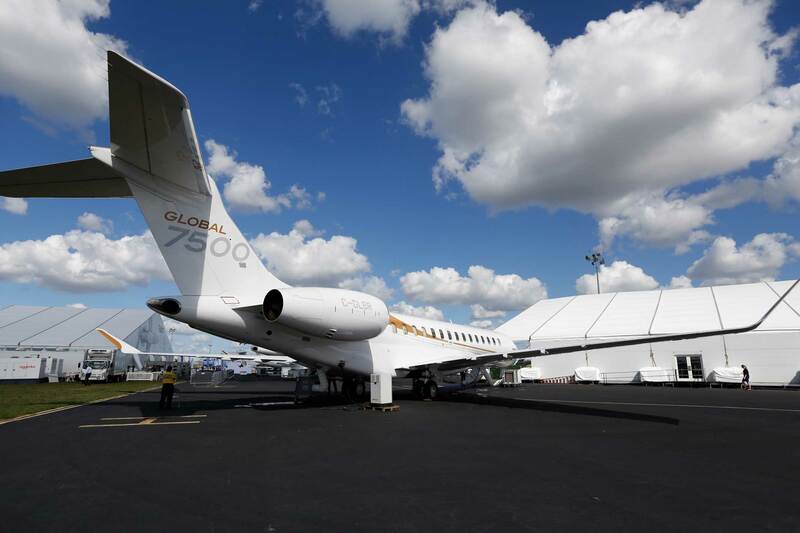 Bombardier said on Tuesday that as deliveries of the aircraft from the firm orders near fulfillment, NetJets is now starting to convert its options to firm orders.